Sierra Nevada Corporation just completed the first glide test for the Dream Chaser space plane in California. 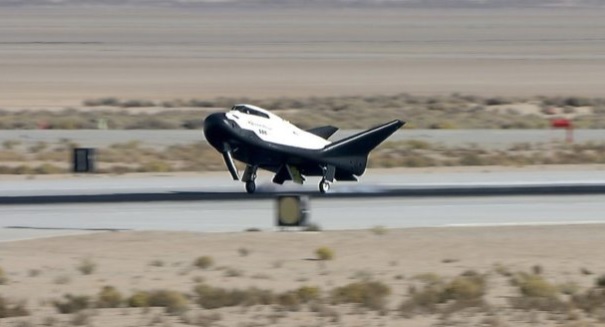 The Sierra Nevada Corporation has made a successful runway landing after a glide test at Edwards Air Force Base in California for its Dream Chaser spaceship, a huge step forward for the program. The purpose of the glide test was to verify the handling qualities of the aircraft as well as its guidance systems. The spacecraft will be used for resupply missions to the International Space Station. This aircraft was unpiloted and dropped from a helicopter, where it glided and then landed at Runway 22L at Edwards, the same place where the space shuttles landed years ago before the program was ended. Sierra Nevada released pictures of the Dream Chaser’s flight test on Twitter. The company expects to release even more information and images from the landing by Monday.